Call it a bit of Bitcoin nostalgia but I found this old school video so hilarious. I had to post it for the entertainment value. Just think Bitcoin is less then 10 years old but for me, watching this video felt the same as watching an old 80’s Top of the pops show. You know deep down you dressed and danced the same way but looking back at it really feels cheesy. Polyester may have been cool and hip in the 80″s but 40 years on you wouldn’t’ go near it with a barge pole. Likewise 10 years from 2009 we have come along way with the cryptocurrency and Bitcoin as a whole. It’s no longer the geeky fad it once was. Big Industry players and the finance sector are actively carving out there space in this Epoch of the world economy. Ask yourself the question which is more important email or money? Bitcoin is way bigger then email! For those who prefer to read I have had it professionally transcribed below. We offer these services here at PC Hospital just call us on 0203 714 3567 or use the contact us form. It’s time to put your money where your monitor is and while it doesn’t grow on trees it does grow in your hard drive welcome to watchmojo and today we’re counting down our picks for the top 10 Bitcoin facts. Number 10. 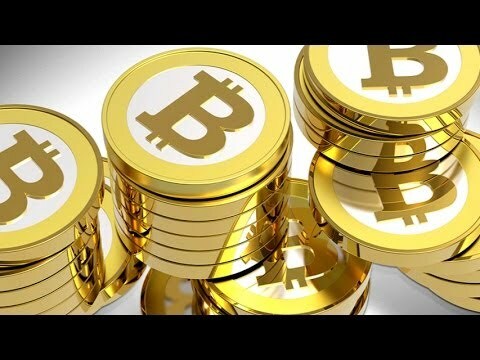 Bitcoin basics otherwise referred to as electronic money or virtual currency. Bitcoin is a peer-to-peer payment system that offers a 21st century alternative to regular brick-and-mortar banking. A Bitcoin is something that most users will never see and never touch beyond their computer screens, exchanges are made via wallet software rather than the traditional wallet in your back pocket. There exists no central bank or authority so the value of your bank balance is set entirely by the supply and demand of the market. Number 9. Buying things with bitcoins as with all money it’s best if you’re able to spend it. It’s been gradual but there are more and more commodities becoming available to Bitcoin holders. Perhaps the most high-profile to accept the currency is Virgin Galactic, their upcoming space tourist flights are purchasable. If you prefer your transport a little more traditional than Lamborghini is the first motor company to give the go-ahead and what car-stereo would be complete without Spice Girl Mel B. She was the first musician to recognise payments for her music. Number eight. The numbers the Bitcoin supply is finite production of bitcoins is romantically called mining with millions of dollars worth mined or exchanged electronically each day. Every Bitcoin transaction is verified using an extremely complex algorithm. And these verification’s are done by a large network of mining computers competing against each other. When a miner successfully verifies a transaction he or she is rewarded with a small amount of bitcoins. This is also how new bitcoins are introduced into the system and mining is a lot of work globally. The network of mining computers is now over 250 times more powerful than the world’s top 500 supercomputers combined. Number 7. The value with nothing to hold in your hand the bitcoins value might seem indecipherable. As a new concept it does tend to fluctuate however in general the value seems to be increasing in November 2011 after a crash a Bitcoin was worth $2 u.s. In November 2013 a Bitcoin topped $1,000 US and value and briefly was worth more than an ounce of gold though its value has since fallen just imagine the level of security when the first Bitcoin cash machine opened in Vancouver Canada the previous month. Number 6. Bitcoins and bankruptcy an old saying says you have to speculate to accumulate and there are speculators aplenty when it comes to Bitcoin while there are winners there are inevitably losers – in February 2014 Mount GOx the one-time largest Bitcoin exchange was forced to file for bankruptcy protection due to possible hacking theft or mishandling that cost them in excess of four hundred and fifty million dollars. Bitcoin is a currency that can lose up to 80 percent of its value in seconds. So mount GOx was in very big trouble very quickly. Number 5. Banning the bitcoin, probably because it subverts the traditional banking system and works outside government regulation bitcoin is outlawed in many countries around the world and is heavily frowned upon by many others. In July 2013 Thailand became the first country to completely ban the currency though they later relaxed the ruling and China with its higher global profile banned banks from trading bitcoins. In December of the same year the US Treasury has also flexed its monetary muscles by shutting down a physical Bitcoin production company in 2013. Number 4. Know your limits, the number of bitcoins that can exist is limited to 21 million and the production rate is scheduled to be halved every four years to ensure that the value of a Bitcoin is not lost. This means that supply will run out around the year 2140 and although miners will no longer be rewarded with new bitcoins they will still be paid for their efforts through transaction fees. As it stands today over a century before the deadline roughly 64% of bitcoins sit unused in their respective accounts appreciating and depreciating with time. Number two. Silk Road, the equally infamous Silk Road website used bitcoins as its form of currency a black-market trading site that specialised in illegal drugs and goods as well as some more reputable products. It provided browsers with anonymity and made its money using bitcoins when alleged site founder Ross Ulbricht was arrested his estimated fortune was so inconceivable that it’s believed that well over half remains unaccounted for. As a side note the name of Ulbricht alter-ego Dread Pirate Roberts was lifted from the movie “The Princess Bride” go figure! before we unveil our top pick here are a few honourable mentions(see captions). Number one. Bitcoin beginnings, Satoshi Nakamoto is the person or persons behind Bitcoin launching the software in 2009 Nakamoto past majority control on to scientist Gavin Andersen in late 2010. And for this reasons his comments capture Bitcoin perfectly when he says “it’s like better Gold than Gold” Nakamoto’s believed to be in possession of 1 million bitcoins equivalent to a billion u.s.dollars but his name is probably a pseudonym the real identity of Satoshi Nakamoto is unknown it’s been suggested that electronics companies Samsung Toshiba Nakamichi and Motorola are the founders but there’s been no confirmation it’s a mystery for the modern world.